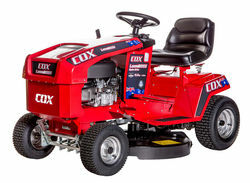 Trusted for over six decades, the legendary COX Mowers are testimony to founder Owen Cox’s simple belief of making a rugged, reliable and efficient ride on mower for Australia’s unique conditions. 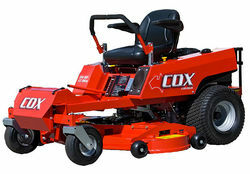 Whether your mowing billiard table flat lawns, rolling manicured slopes or the rockiest of paddocks, you can rest assured that your COX will deliver every time – that’s why commercial business’s and garden enthusiasts alike trust COX with a passion. 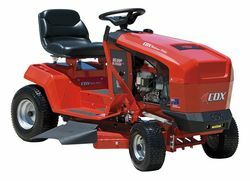 And backed by a nationwide genuine parts and accessories, we will get you back mowing in no time, there is simply no other choice when it comes to Australian made, Australian owned, ride on mowers. Shouldn’t you be riding a COX? The motto is simple: if it's 'Aussie tough', get a Cox.